If you are the Account/Team Owner, you will see the Organization section at the bottom half of the Profile Page where you can set the contact information for your company or organization. 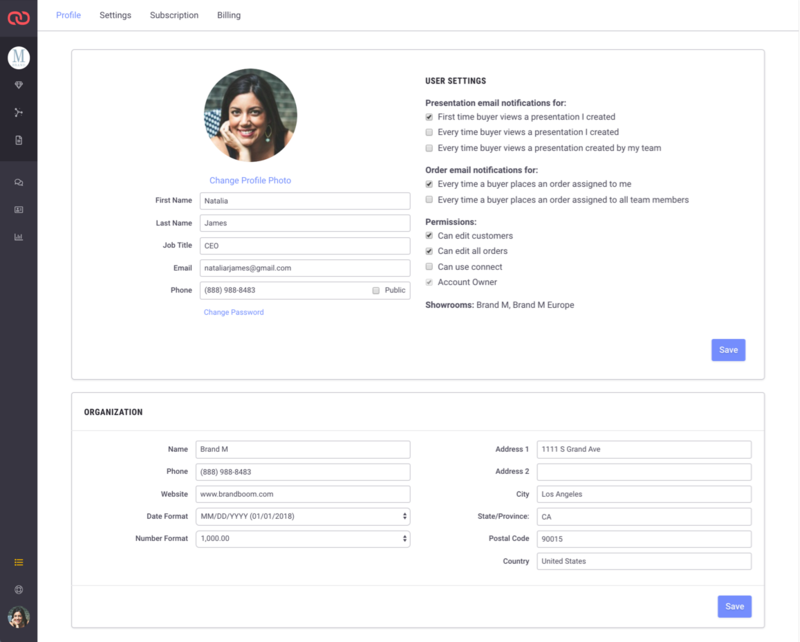 If the organization represented by your Account/Team is independent of the brand represented by your Showroom(s), you can use this space to set specific contact information for your organization instead of the Brand. The address listed here will automatically be made available as a selection for "Contact Info" in your Order Settings in any Showroom you own.